Born into an upper-middle-class family in Rosario, Argentina, Ernesto Guevara de la Serna was to become a legendary figure in the history of Latin America. He rejected both capitalism and Soviet communism, eventually developing into a radical convinced that the only way to bring about social change was through violent revolution. His reputation as a rebel has landed his image on everything from coffee mugs to tattoos. His cult following continues even among today’s youth, particularly Latinos. 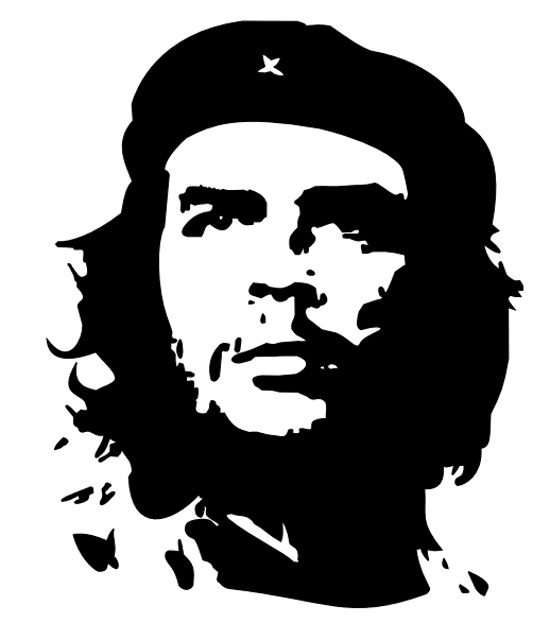 Here are a few reasons Che Guevara became a t-shirt legend. 1. Medical training. Unlike many guerrillas of the time, Che Guevara was educated at the University of Buenos Aires, graduating with a degree in medicine in 1953. 2. His romanticism. Che grew up in a home with more than 3,000 books, and was remarkably well-read. He was especially passionate about poetry, favoring poets such Pablo Neruda, Rudyard Kipling, John Keats, Antonio Machado, Federico García Lorca, Gabriela Mistral, César Vallejo, José Hernández and Walt Whitman. 3. His intellectual idealism. As a youth, Che was exposed to the philosophies of influential intellectuals including Karl Marx, William Faulkner, André Gide, Emilio Salgari and Jules Verne. Additionally, he enjoyed the writings of Sigmund Freud, Jawaharlal Nehru, Franz Kafka, Albert Camus, Vladimir Lenin and Jean-Paul Sartre. The ideas of these thinkers greatly influenced the development of Che’s own distinct philosophies. 4. Author of “The Motorcycle Diaries.” At 23, Che left his medical studies to travel across South America on an old motorcycle with his friend, a 29-year-old biochemist named Alberto Granado. His trip allowed him to witness the poverty and social plights of various groups, including mine workers, communists, lepers and the Latin American poor, which he documented in the book. It has been a New York Times bestseller several times, and in 2004 was used as the basis for a popular movie of the same name. 5. Compassion for the poor. Che Guevara had tremendous compassion for the poor and sick, which led him to the field of medicine and also to travel extensively, witnessing the struggles of these groups. 6. His rebel spirit. Undoubtedly the one characteristic that draws admirers to Che is his rebel spirit. He assisted Fidel Castro’s revolutionaries in overthrowing the Cuban government in 1958, gaining fame as one of the leading figures in Castro’s government. He later led guerrilla efforts in Africa and Bolivia. 8. His associations. Che was a diplomat for Cuban socialism, traveling widely in Russia, India and Africa, meeting the leading figures of the world at that time. He also orchestrated the close relations between Cuba and the Soviet Union. 9. His contrasts. Che Guevara was a study in contrasts. He once said, “the true revolutionary is guided by a great feeling of love,” but he was also an expert in the dark tactics of guerrilla warfare. He was notorious as a ruthless disciplinarian who shot defectors without hesitation. 10. His death. Che was executed in 1967 at the hands of Bolivian forces, assisted by the CIA. His death was considered a martyrdom by many, leading to his status as a revolutionary icon. Why Do People Wear Che Guevara T-Shirts?